If you’re feeling out of shape lately and looking for help, OCCC has the fix. Numerous classes designed to help students get fit are now in session in the Wellness Center on campus. With upwards of 12 classes, all students will be able to find something that caters to their needs. Jenny Kellbach, Recreation and Fitness secretary, said there is room in just about every class right now, although more popular topics such as Zumba and Pilates could soon reach capacity. “You’ll usually see the turnout rate for these classes shoot up around the holidays, but around summer time there is plenty of room to join,” Kellbach said. “Zumba’s really popular probably because it’s marketed so well, plus the times are convenient … They’re later in the day so more people attend after work or class,” Kellbach says. Classes also are offered if you’re worried about shaping up certain areas on your body. Classes such as Abs Express, Body Sculpting, and Bosu Blast will help target those areas as well as enhance overall fitness and strength, said Eric Watson, sports and recreation specialist. Cardio kickboxing and combo aerobics are offered for those looking to improve their fighting technique and cardio respectively. OCCC student Mark Cruz said the kickboxing class is very intriguing. For those looking to step it up a notch, Boot Camp is yet another class offered at the college. Boot Camp is designed to improve strength, speed, and agility by using many exercises including a stability ball, weights, and body bars. The list doesn’t end there. Spin class is available as well for those looking to improve cardio health in a relaxed yet focused environment while using stationary bicycles. If working in the water sounds fun, OCCC also offers two water-based fitness classes. Water exercise and deep-water exercise focus on low-impact activities to improve fitness while also providing the comfort of a pool. For students, prices and schedules vary for each class. For more information on pricing and scheduling, contact Roxanne Butler, Recreation and Fitness director, at 405-682-1611, ext. 7425. Interested in more than one fitness class? 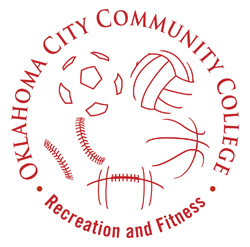 OCCC now offers a Group Fitness Pass to all students and members starting this semester. The Group Fitness Pass can be purchased for a $50 fee per semester, a savings of more than $100, and allows access to all fitness classes for the fall semester and entry will be on a first come, first serve basis, Butler said.